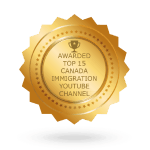 There are many ways for individuals to obtain residency in Canada. Canadian Immigration Law is designed to help people from all walks of life gain entry into Canada and integrate into the local population. Applicants must be able to meet the requirements set forth by the existing immigration laws in order to be granted entry. But some people may be ineligible for a variety of reasons. The Temporary Resident Permit (TRP) provides an additional option for those who may be refused entry under the regular immigration categories. The following will give you an understanding of the TRP application process along with the criteria that must be met for its approval. The Temporary Resident Permit lets individuals who may otherwise be ineligible for admission to Canada to receive a visa to enter the country on a temporary basis. The time period allowed in a TRP can be as long as three years or as little as 24 hours. An individual’s application will determine the time period specified in a TRP. A longer-term TRP may allow multiple entries and can be extended for longer periods of time. 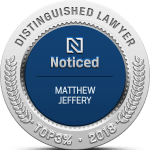 Due to the nature of the Temporary Resident Permit and the issues that require one, the criteria for application approval can be difficult to meet. Individuals who are ineligible for Canadian residency due to a security or criminal risk must demonstrate a significant need to enter the country. The purpose of a TRP application is to show Canada’s immigration officials that there is no risk present in allowing an individual to enter its borders. The need to reside in Canada must be greater than any potential risks. Justifying an individual’s residency is the most difficult part of the application process. A Temporary Resident Permit can be obtained prior to traveling to Canada. In some cases, it may be necessary to obtain a TRP upon arriving at the border. 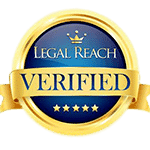 When applying for a TRP, it’s recommended that you obtain the assistance of an immigration lawyer. The complexity of the application process makes it difficult for individuals to apply on their own. In addition, the application must be prepared correctly in order to prevent the risk of being denied entry. Many countries have local Canadian Visa Offices that provide their own TRP forms and list of necessary documents. It’s best to apply in advance prior to arriving in Canada. This will prevent any unwanted issues and ensure that you have submitted all of the necessary documentation. There is a non-refundable processing fee, and your approval is not guaranteed. Finally, TRPs may be canceled at any time and will be deemed invalid once you leave the country. Temporary Resident Permits allow individuals to enter Canada when they may otherwise be ineligible. Criminal and security threats often restrict entry, and a TRP can be used to demonstrate a significant need to obtain residency for a set period of time.